Zinc range hoods are becoming popular. A kitchen equipped with a metal range hood usually is modern but that of course depends on zinc finishing. Natural color is used for contemporary style homes. A darken zinc hood is installed in more traditional houses including old European type kitchens. They can be supplied hammered or smooth as well as polished or mat. Custom Made buyers have liberty to select best combination of style and texture. 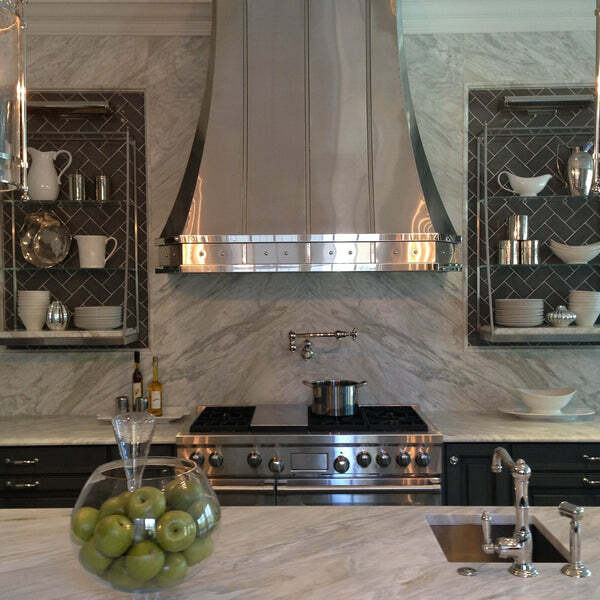 Production including delivery of any style wall and island zinc range hood takes about five weeks.